I will do any type of Data Entry / Copy Paste work. as any kind of Data entry & Virtual Assistant works. *** Web Design and Graphics Design will may required additional Charge and its not Hourly based Work. Note: Please send me your working details and timeframe before order this service and i will set the time before you place order. 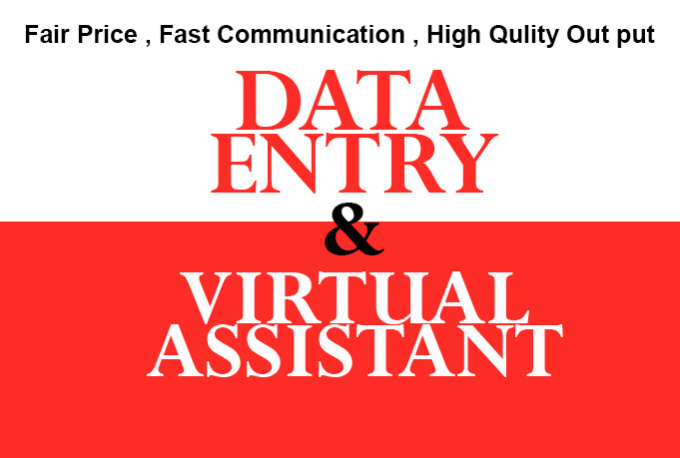 I will do Data Entry and be your Virtual Assistant upto 5 Hours is ranked 5 out of 5. Based on 28 user reviews.